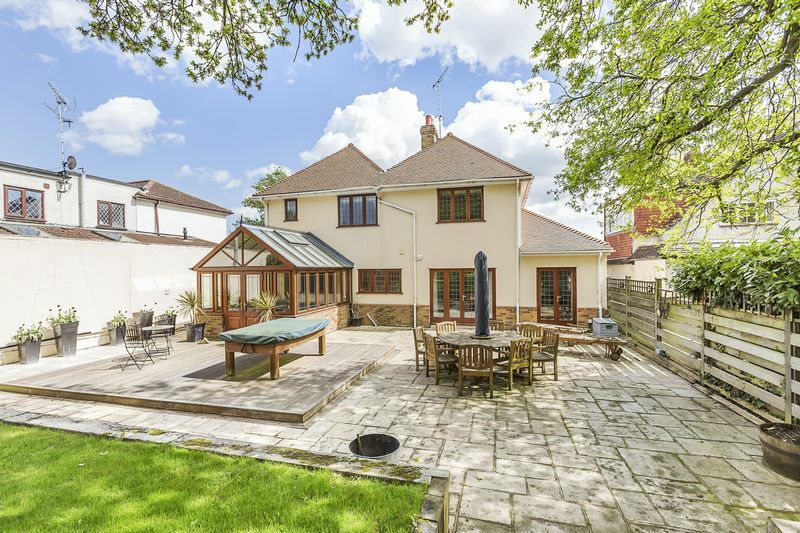 NEW INSTRUCTION Outstanding spacious 4 bedroom detached house in favoured location of Birchwood Road set in large grounds with 265ft landscaped garden and in close proximity to the best schools in the area. 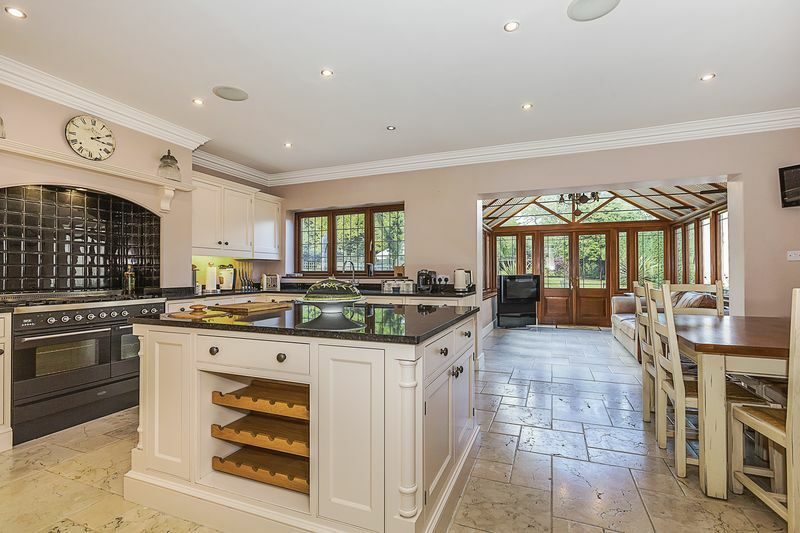 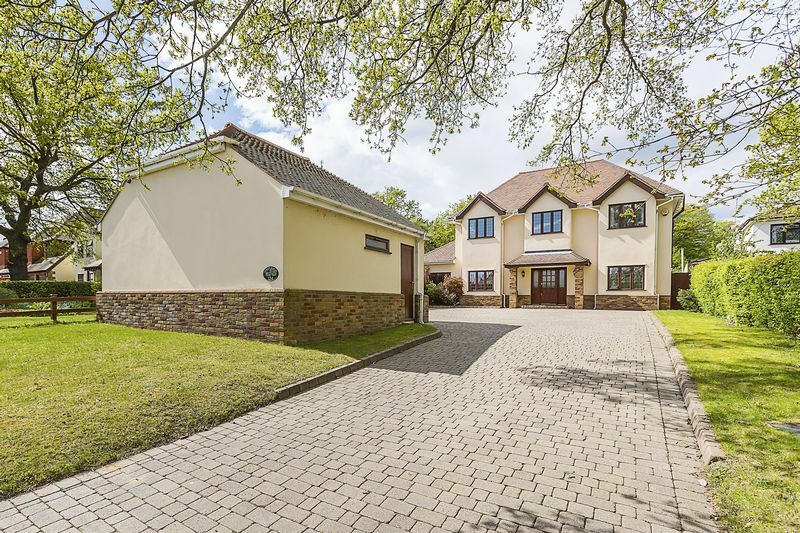 Harpers & Co are delighted to offer this superb and spacious 4 bedroom, property which is a credit to the current owners who designed and constructed it from the ground up. 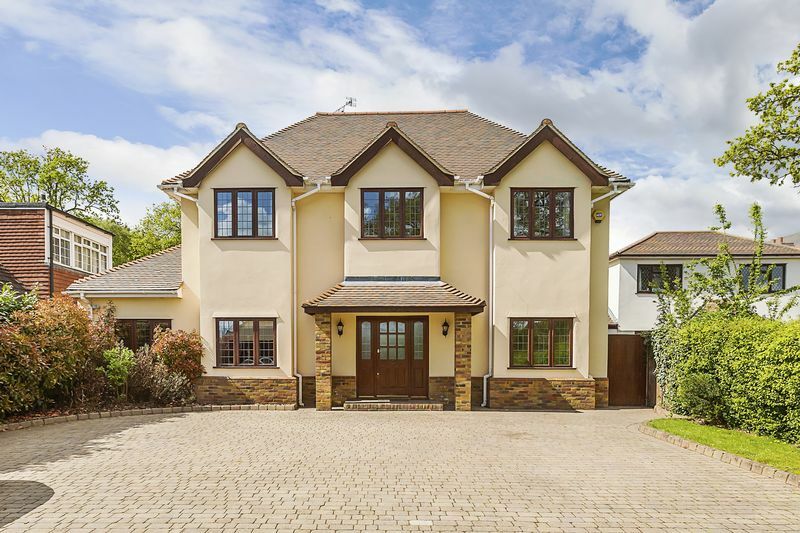 This exquisite house is very well specified with a top of the range integrated Bang & Olufsen sound system throughout giving audio ability to nearly every room. 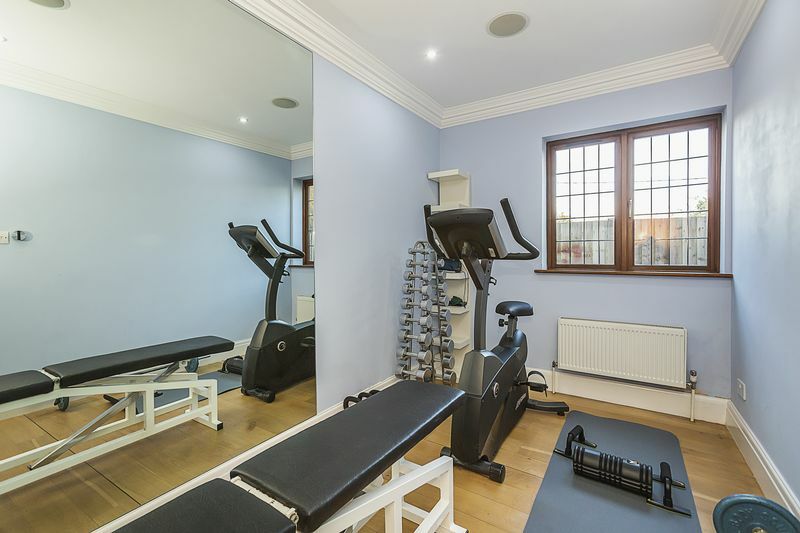 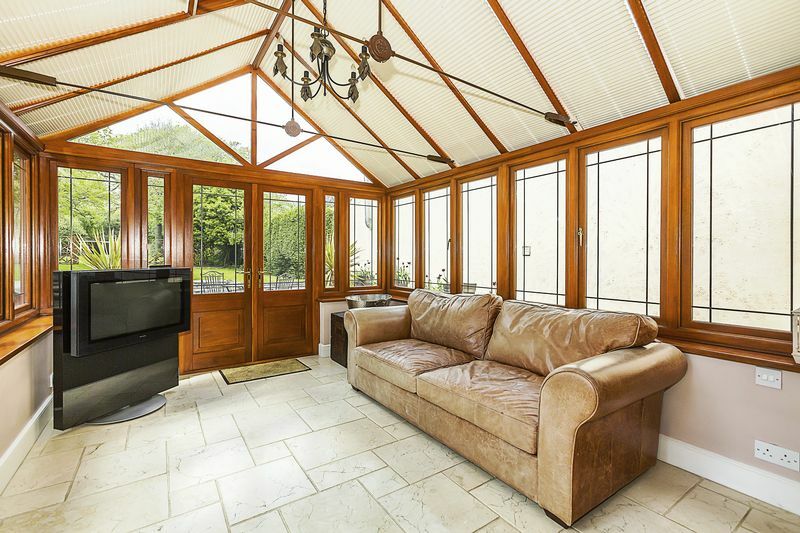 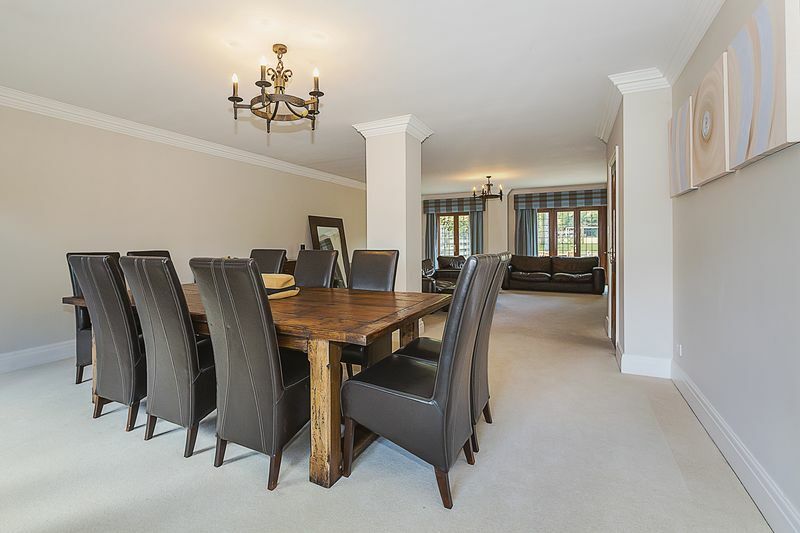 The ground floor comprises impressive hallway, study, gym, cloakroom/WC, and large kitchen with a bespoke conservatory. 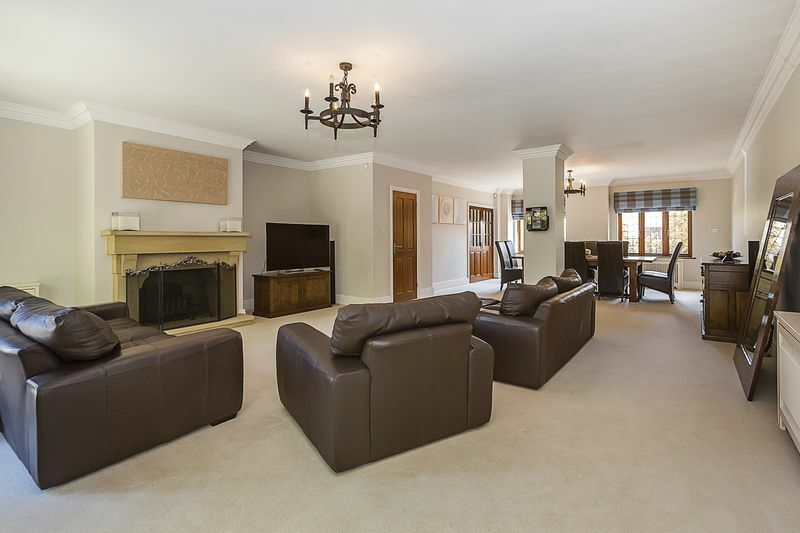 The ground floor also boasts a huge lounge and dining room with impressive large open fire and french doors leading to a massive patio area. 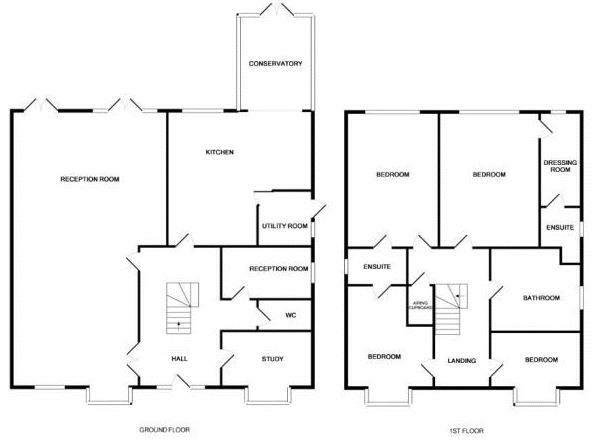 The first floor comprises 4 double bedrooms with the Master bedroom enjoying its own walk in wardrobe and en-suite shower room. 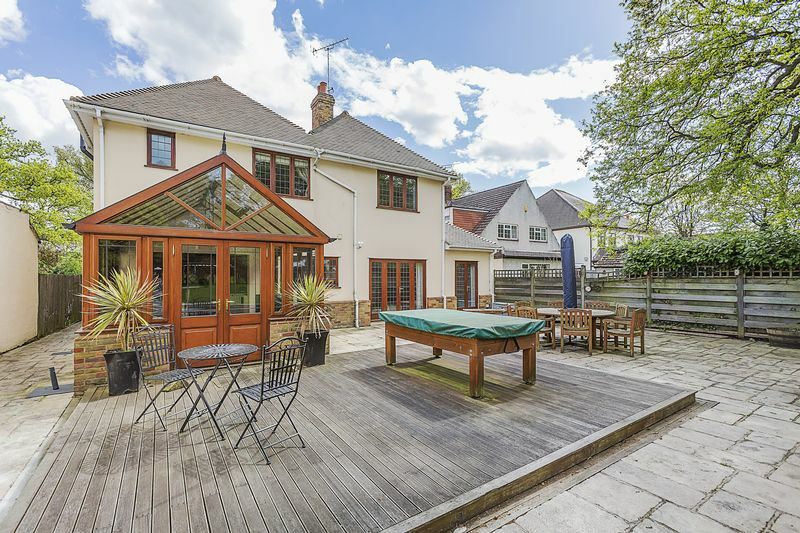 Externally and to the front the house in unique amongst houses in this favoured location as it has meadow views which are uninterrupted. 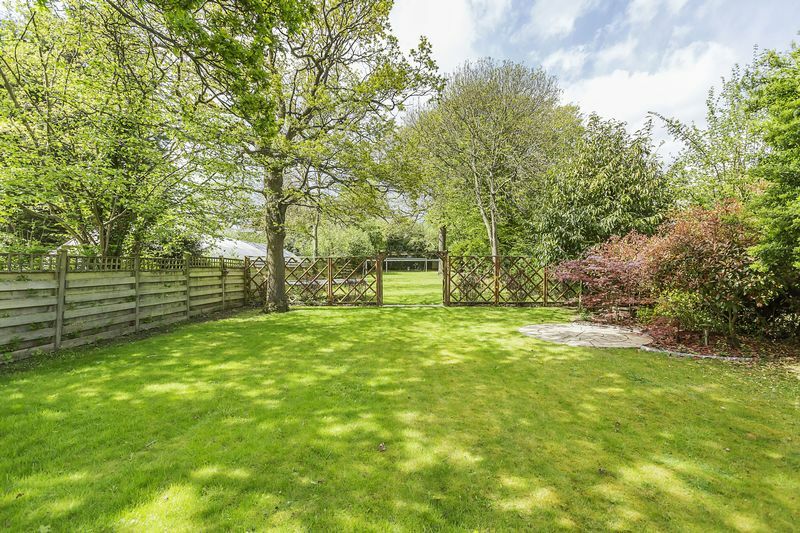 To the rear there is a large paved patio which leads to an impressive 265ft garden which is fully landscaped and immaculate. 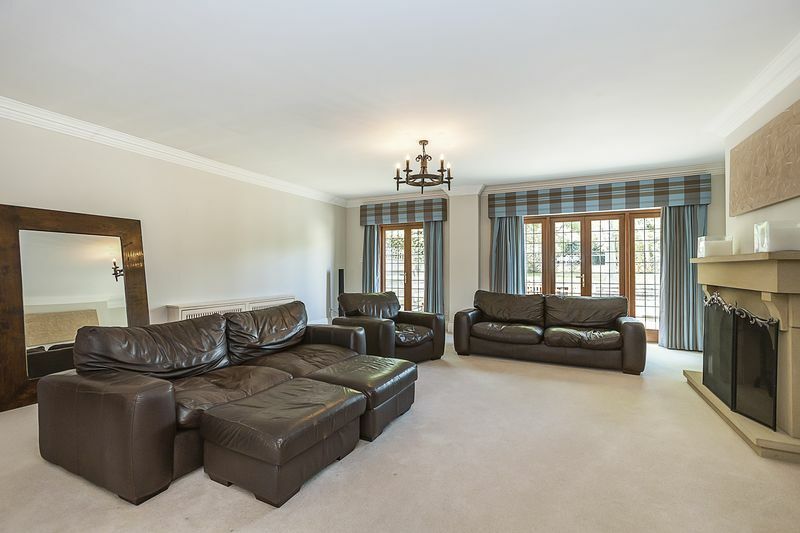 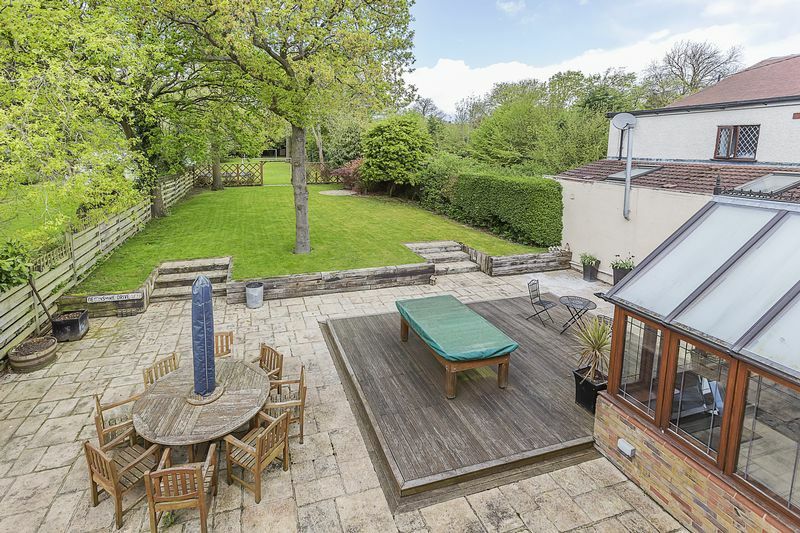 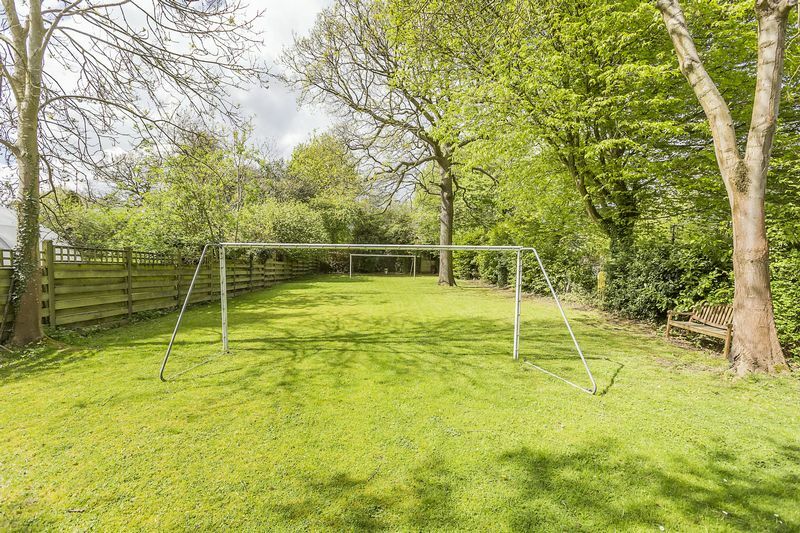 This property is superb and we love it! 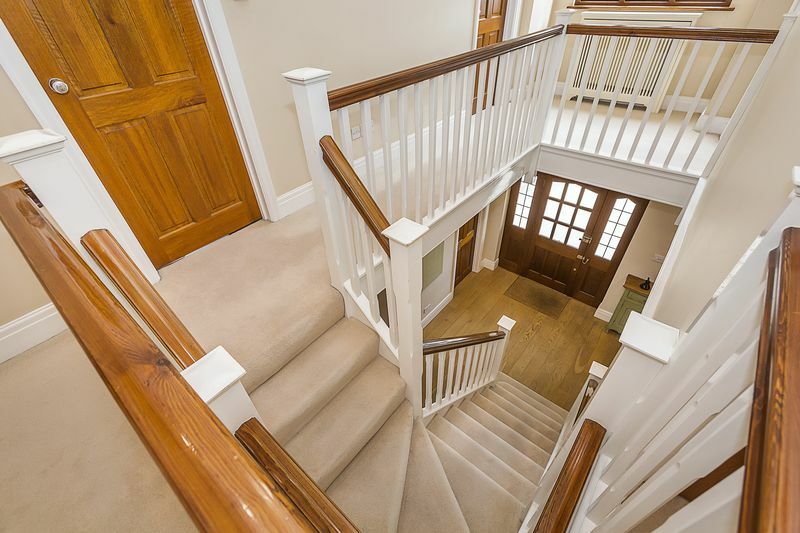 Harpers & Co are Sole Agents and appointments are strictly by appointment only. 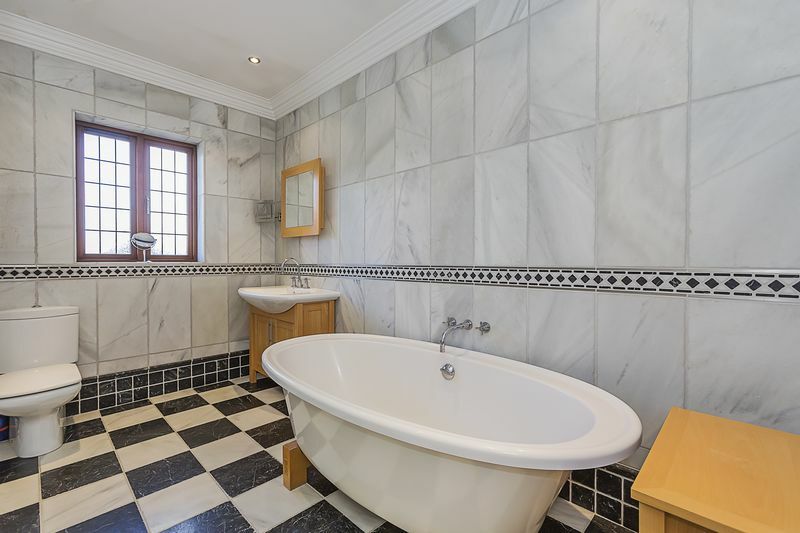 Call 01322 524425. 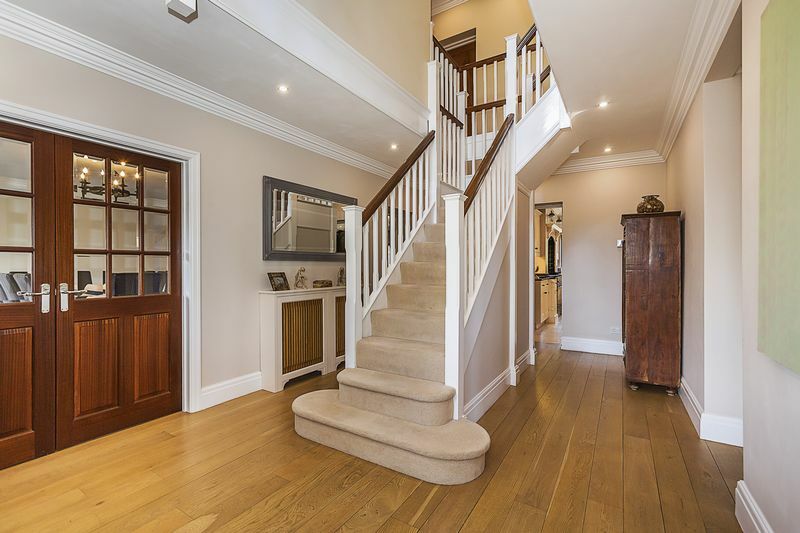 Double glazed hardwood front door with double glazed side panels, oak flooring throughout, skirting, coving, central feature staircase, radiator with wooden cover, storage cupboard spotlights to ceiling. 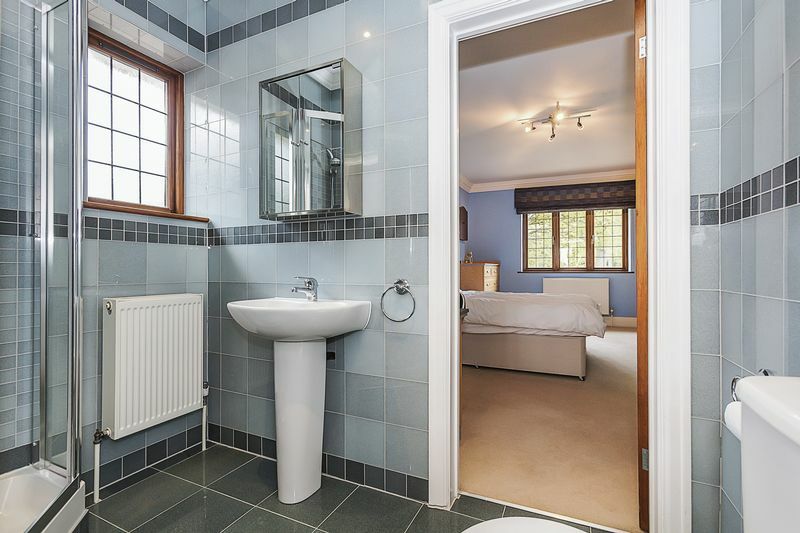 Tiled flooring throughout, coving, low level WC, low level basin, part tiled walls, one radiator. 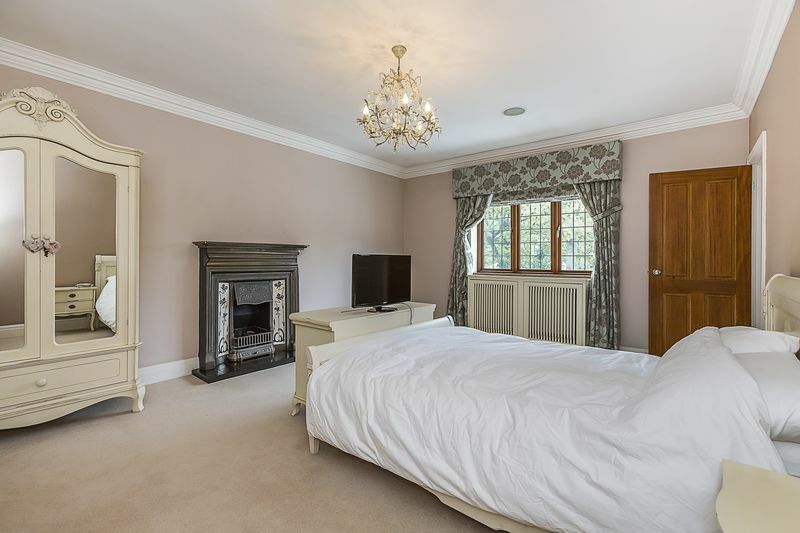 Fully carpeted throughout, skirting, coving, feature fireplace, two sets of french doors, two double glazed windows, 2 x pendant lights to ceiling, 4 radiators with covers. 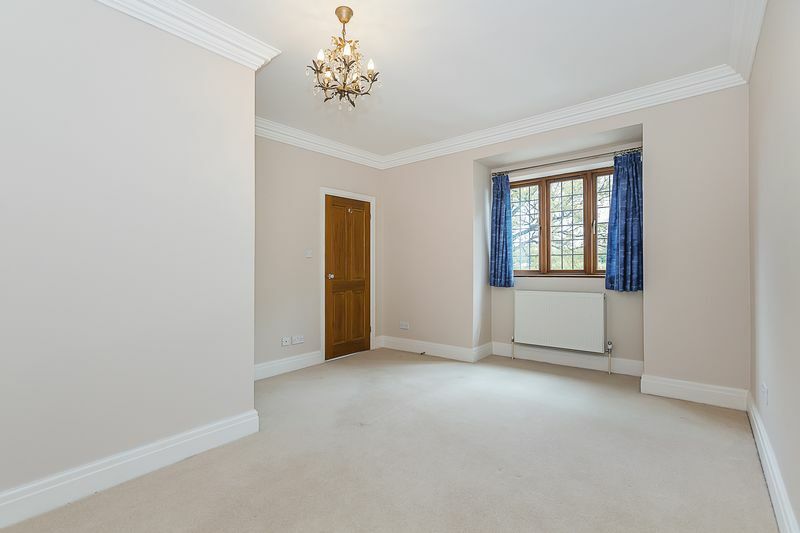 Fully carpeted throughout, coving, radiator with cover. 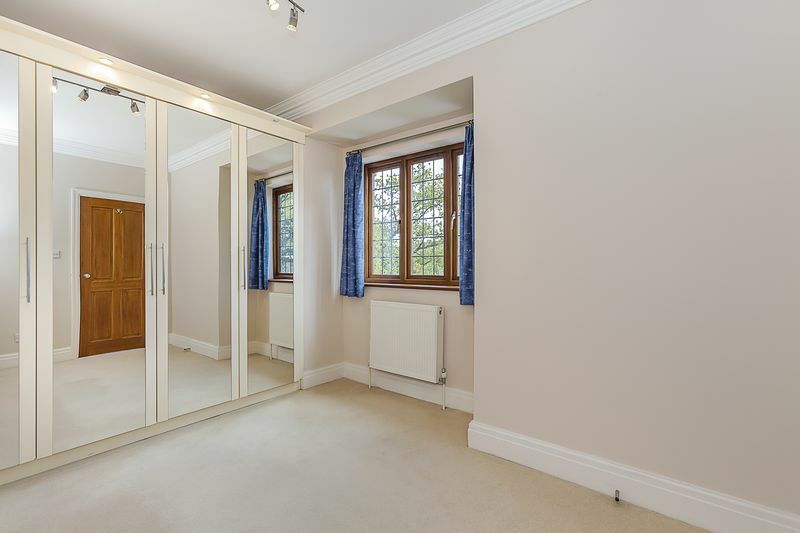 Oak flooring throughout, coving, fitted mirror, in built speakers, radiator. 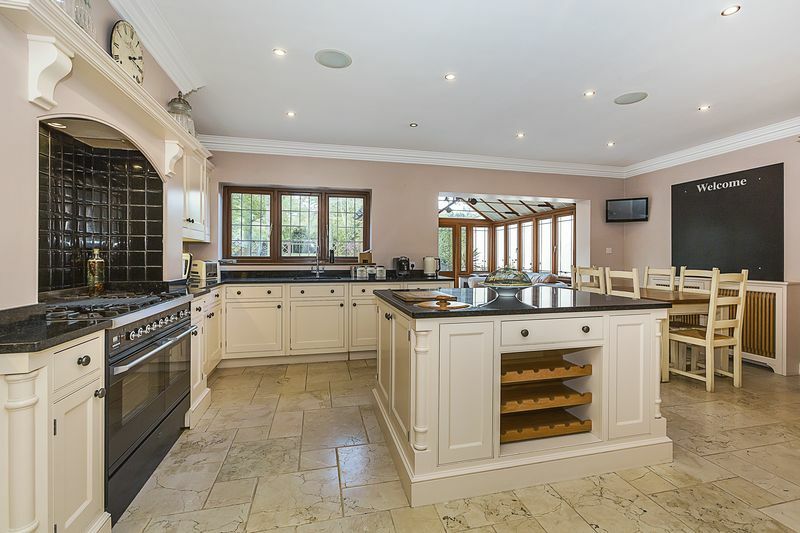 Fully tiled flooring throughout, under floor heating, double glazed windows. 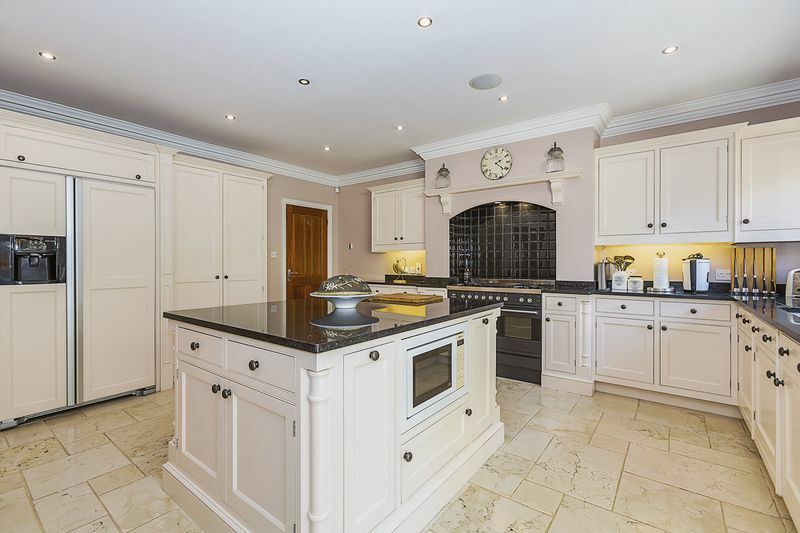 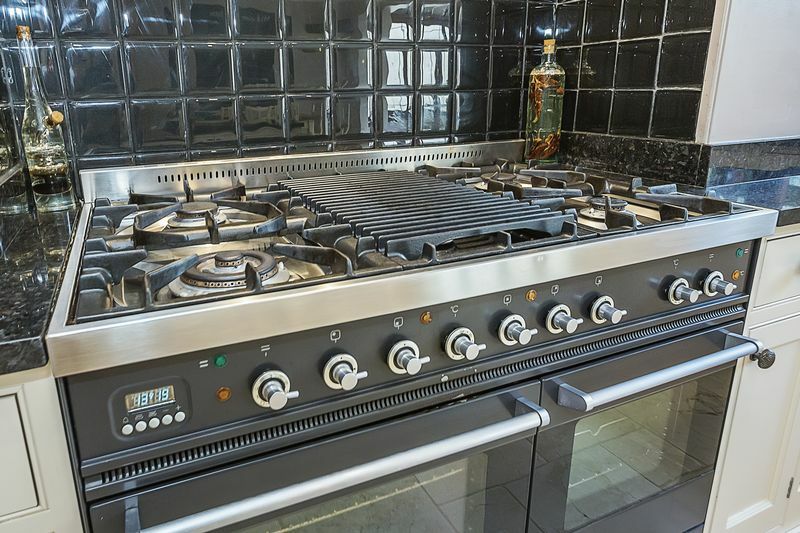 Tiled flooring throughout, under floor heating, 5 burner oven, ceramic basin with mixer tap, floor and wall mounted cream kitchen units, island to center, granite worktops, tiled splash back, integrated fridge freezer, spot lights, fitted speakers. 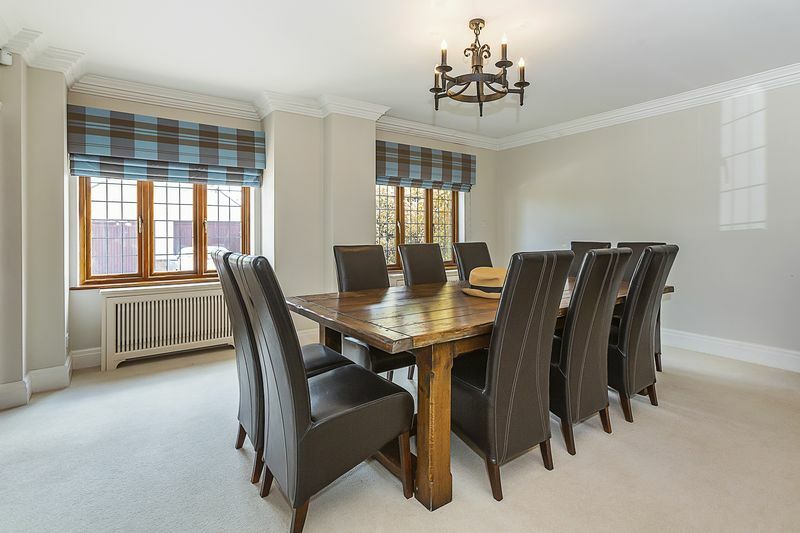 coving, granite worktops, double glazed window to side. 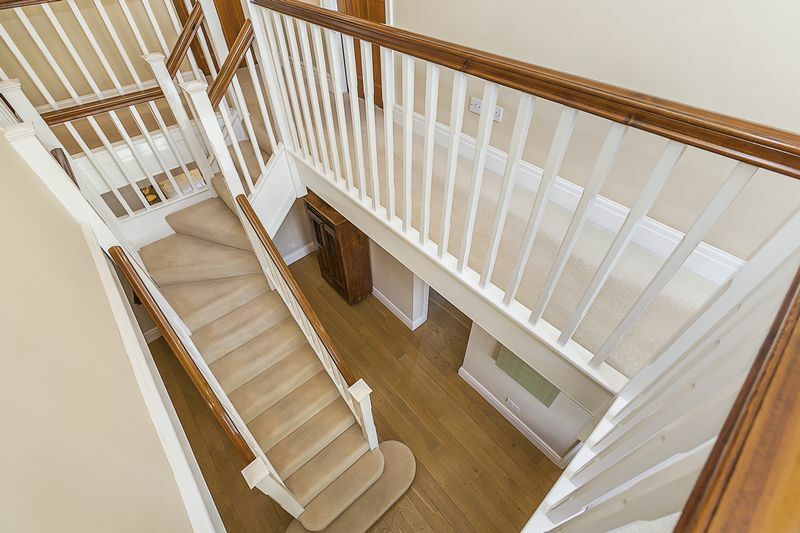 Fully carpeted throughout, coving, radiator with cover, loft access, double glazed window. 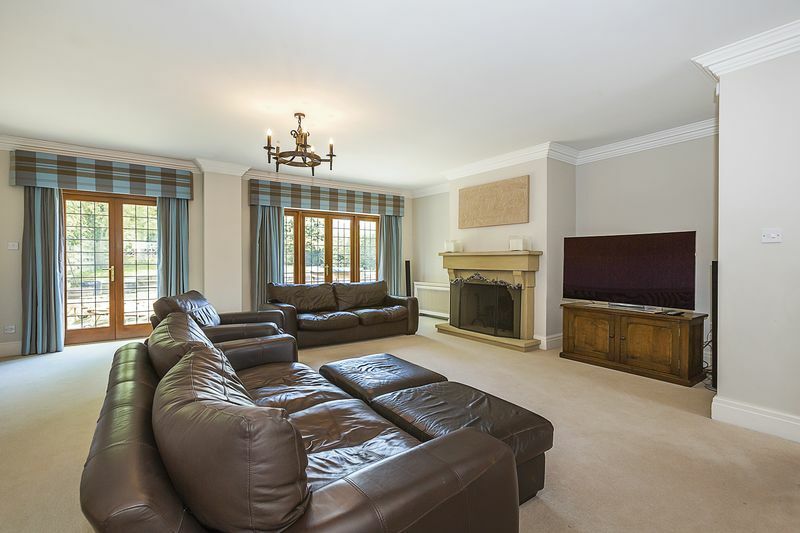 Fully carpeted throughout, coving, attractive feature fireplace, radiator with cover, Double glazed window. 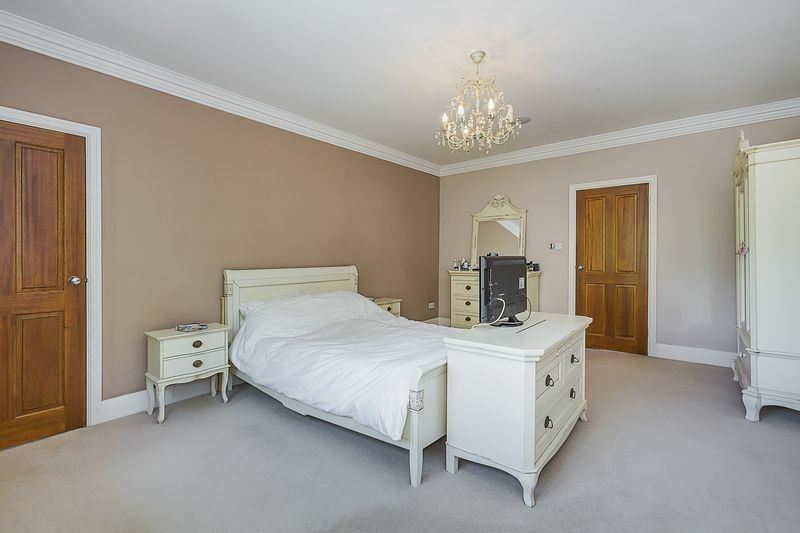 Fully carpeted throughout, coving, fitted wardrobes, radiator, double glazed window. 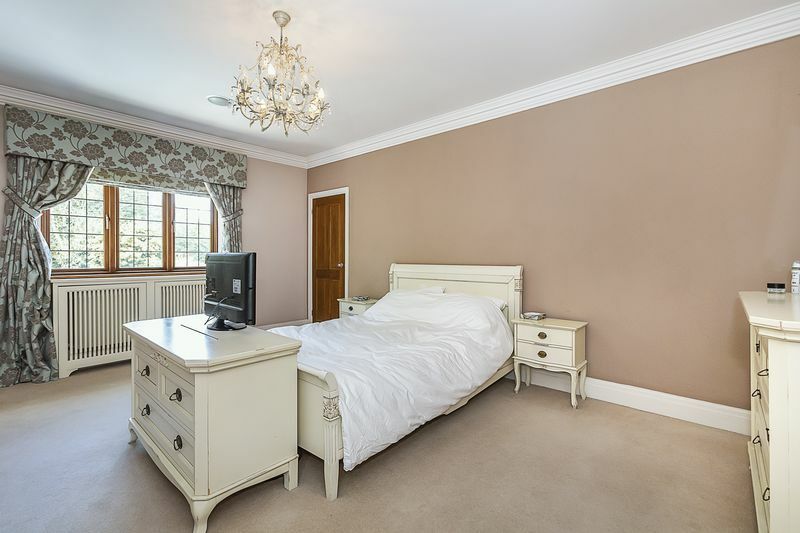 Fully carpeted throughout, fitted wardrobes, double glazed window. 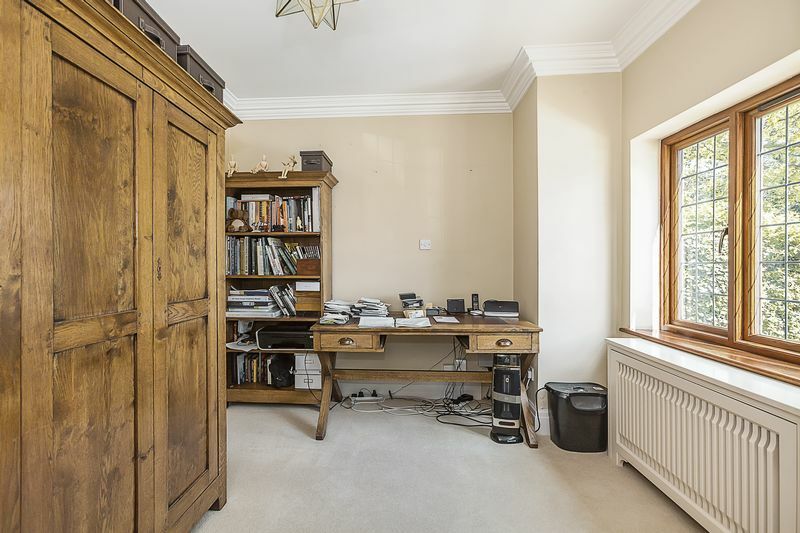 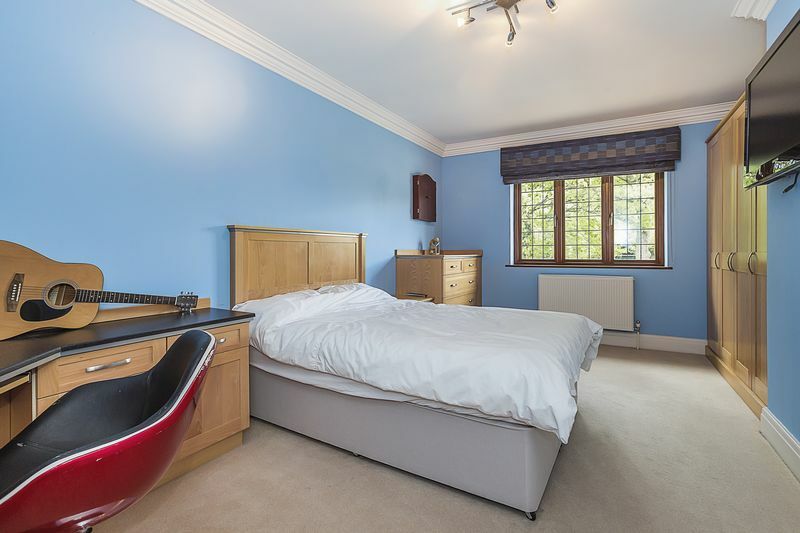 Fully carpeted throughout, skirting, coving, double glazed window to rear, radiator. 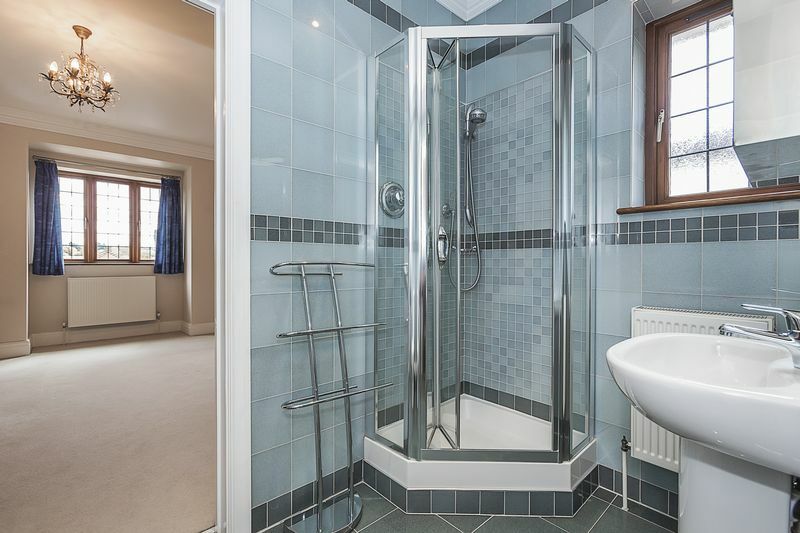 Fully tiled walls and floors throughout, aqualisa shower, low level WC, single hand bowl, radiator. 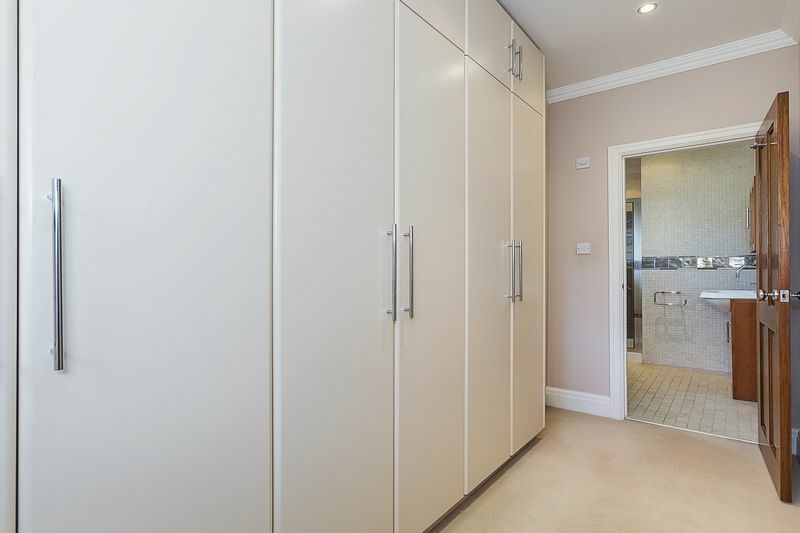 Fitted wardrobes, coving, radiator, double glazed window. 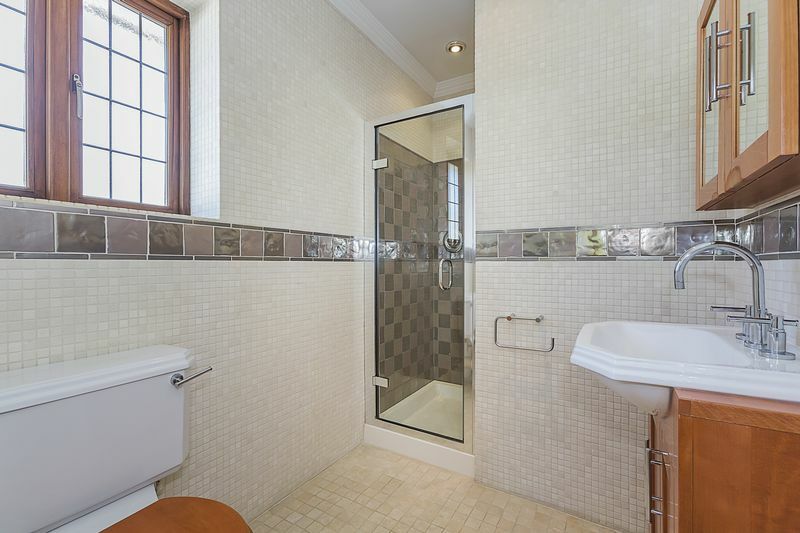 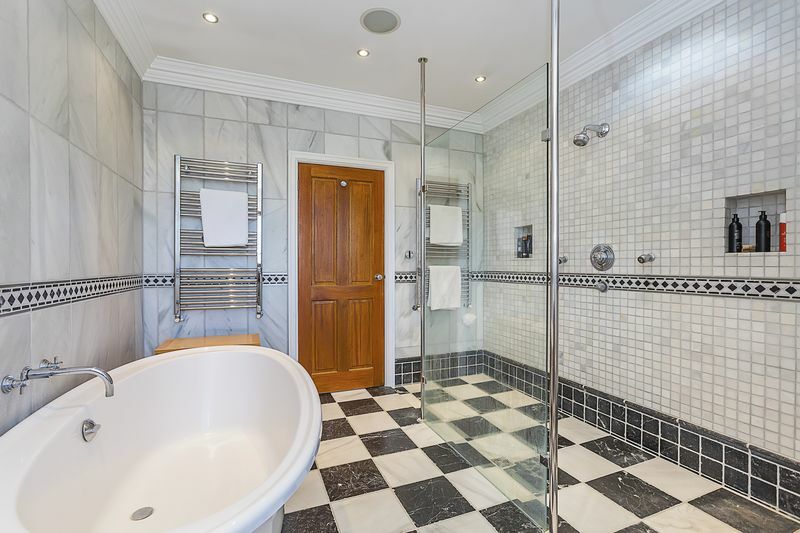 Fully tiled throughout, under floor heating, aqualisa shower with shower screen, roll top bath, hand bowl with mixer tap, low level WC, two heated towel rails. 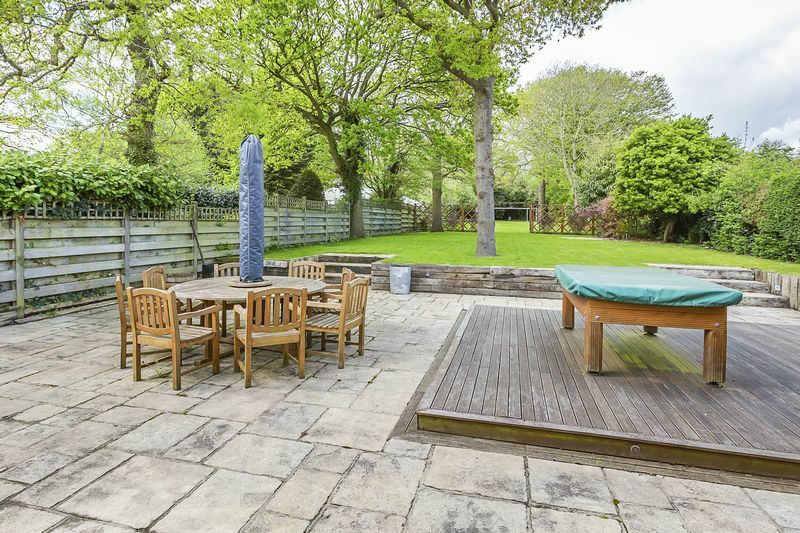 Decked area, outside security lamp and feature lighting, power and tap, compost bin, mainly laid to lawn. 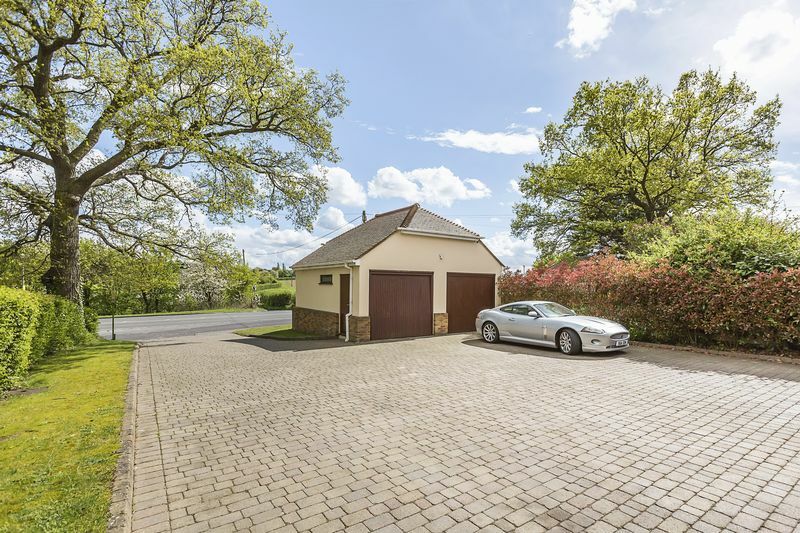 Detached double garage, power and light, electric door with remote.